Seeing an Apple I computer nowadays is like seeing a giant squid: it’s rare and you can’t exactly walk up to an Apple store to buy one nowadays. These were introduced in 1976, exactly 39 years ago, and were designed and hand-built by Apple co-founder Steve Wozniak. If you are looking for one, don’t fret: there’s currently one available at auction house Christie’s. Unfortunately, to get your hands on the rare 1970s computer, you need at least $371,000 to make the first bid and at least $775,000 tops – that is if there’s no one else willing to pay more for it. Other than the computer itself, you will also receive another rare item, which Christie’s describes as “the extremely rare first manual issued by the Apple Computer Company”. Currently, there are only 50 computers like these are known to exist – this is rather impressive considering that only 200 of these were made. When Apple released the Apple I’s successor, Apple II, the company offered discounts to Apple I users who will return their old computers. These were somehow destroyed – there are only a handful of them belonging to private collectors, while most are with museums and public displays. The computer’s specifications are laughable in today’s standards but they were revolutionary back when they were released. 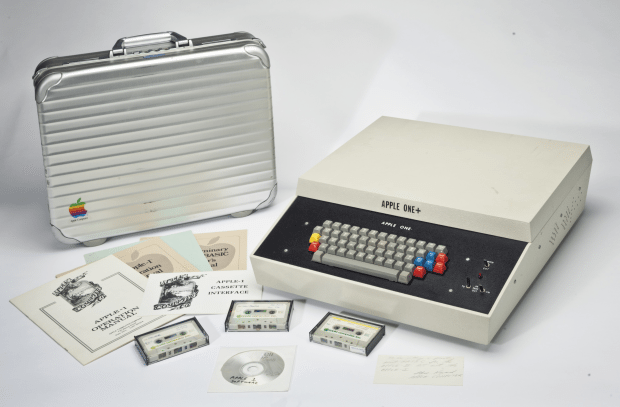 The one at Christie’s contains a 6502 CPU, an 8KB of RAM (roughly the file size of the text in this entry) in 16-pin 4K memory chips, and three Big-Blue power capacitors. It also includes the Apple cassette interface card. If you are planning to hop on a plane to Britain, take note that this particular Apple I computer has not been turned on since 2005, increasing fears that it may no longer be in near-perfect condition. Take note that there are only a few engineers in the world which can help fix it – one of whom is the original designer Steve Wozniak. 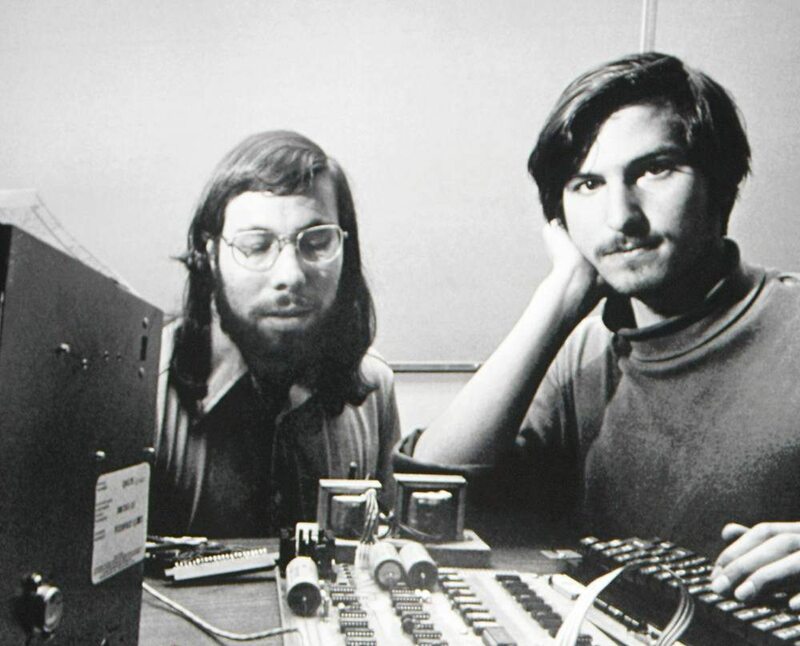 Jobs and Wozniak working on the Apple I. Currently, there are two Apple I computers up for display in the United States which are the American Computer Museum in Bozeman, Montana, and the Computer History Museum in Mountain View, California. The Apple I computer is part of the auction dubbed by Christie as the “Seven Centuries of Science” which also features machines like the Enigma machine used by Germany in World War II along with a brass astrolabe. The sale is up until October 29, so you will need to gather up your funds now to jump on this sale immediately.